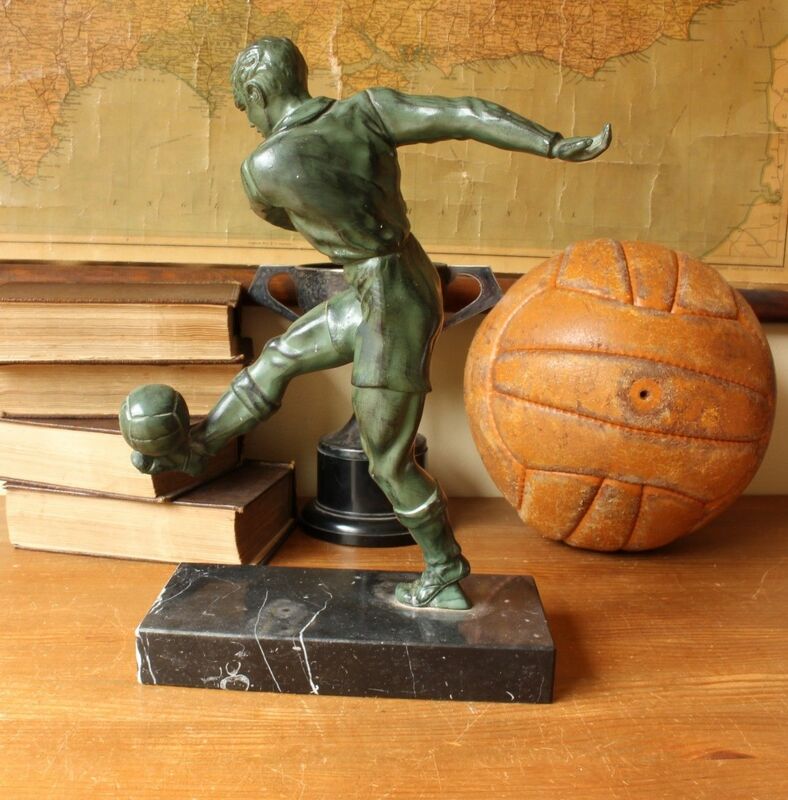 1930s French Footballer Statue. 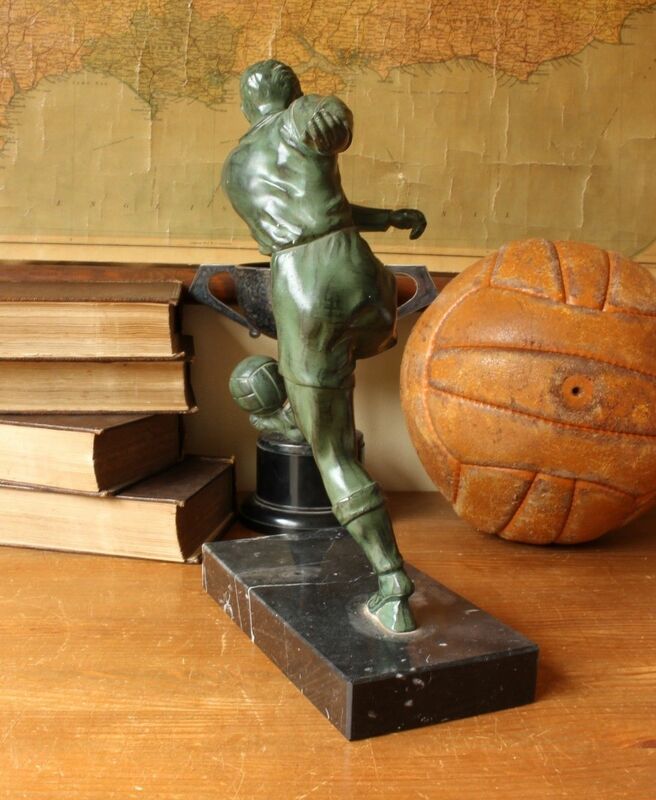 Vintage Figure of Soccer Player & Football. 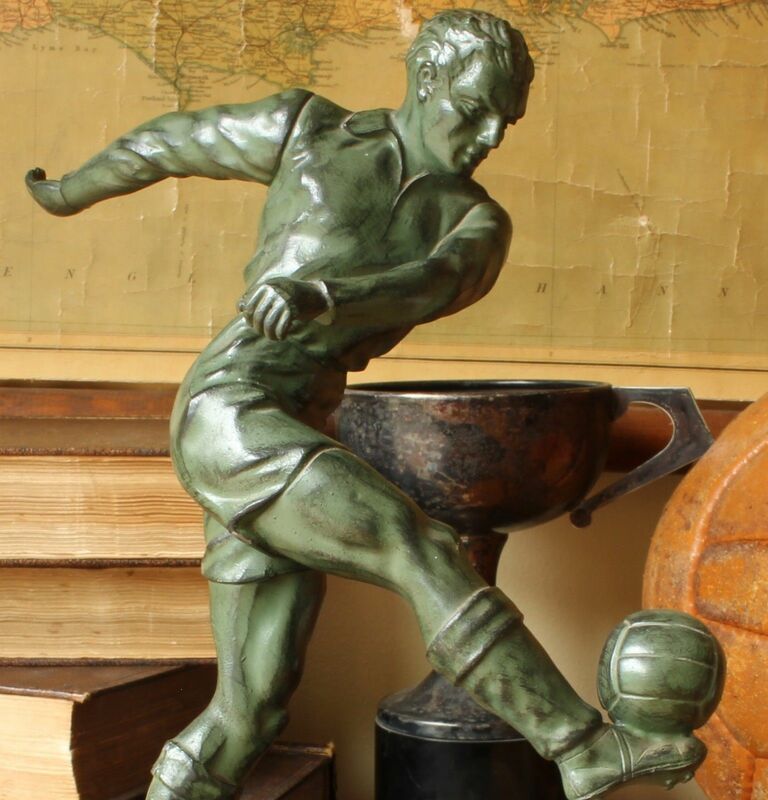 This very nice, large and heavy footballer statue dates from the 1920s / 30s and is made of cast metal with a patinated bronze effect finish, mounted on a black marble base. 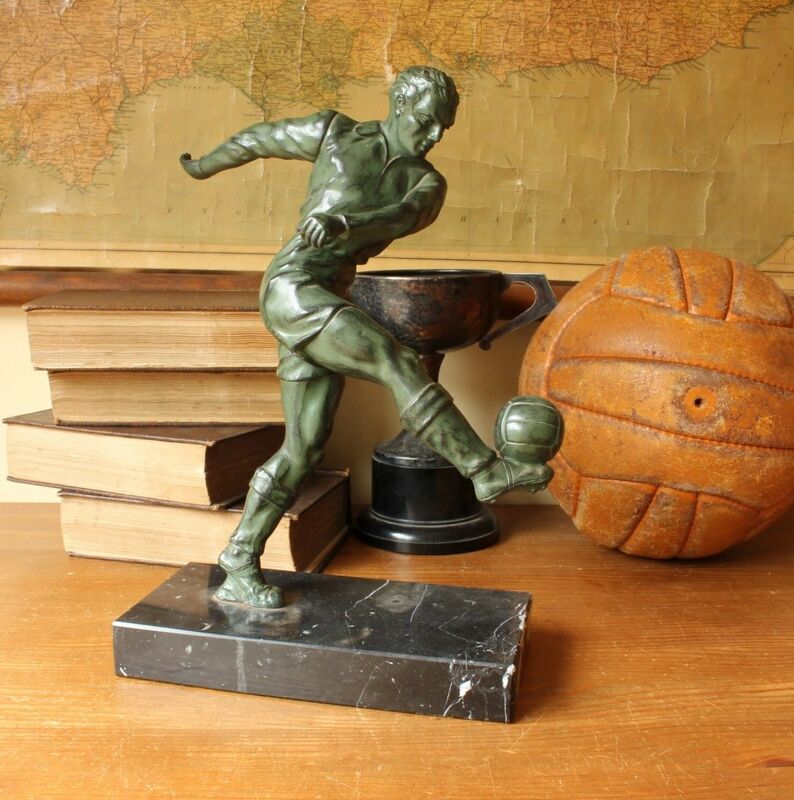 This original football figure which weighs nearly 3 kg looks fantastic on display and is a great item of football memorabilia that would make a super gift for a football enthusiast. 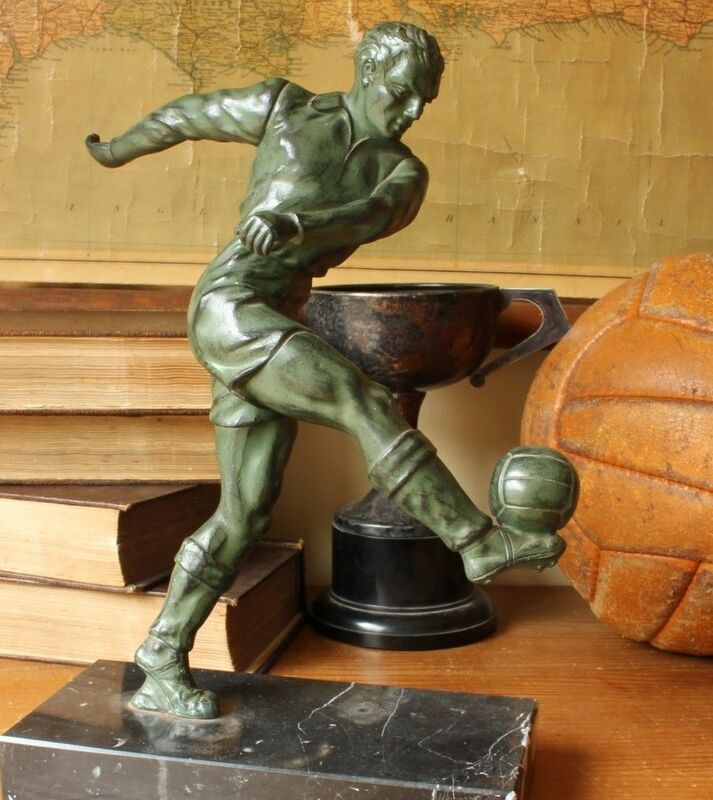 Material: Cast metal with a patinated bronze effect finish and mounted on a black marble base. Date: Early 20th century - c1920/1930. Size: 31 cm (12 1/4") high approx. Condition: Very good used antique / vintage condition with only signs of use in keeping with age. Some light chips and scratches. A few nibbles to the marble base. 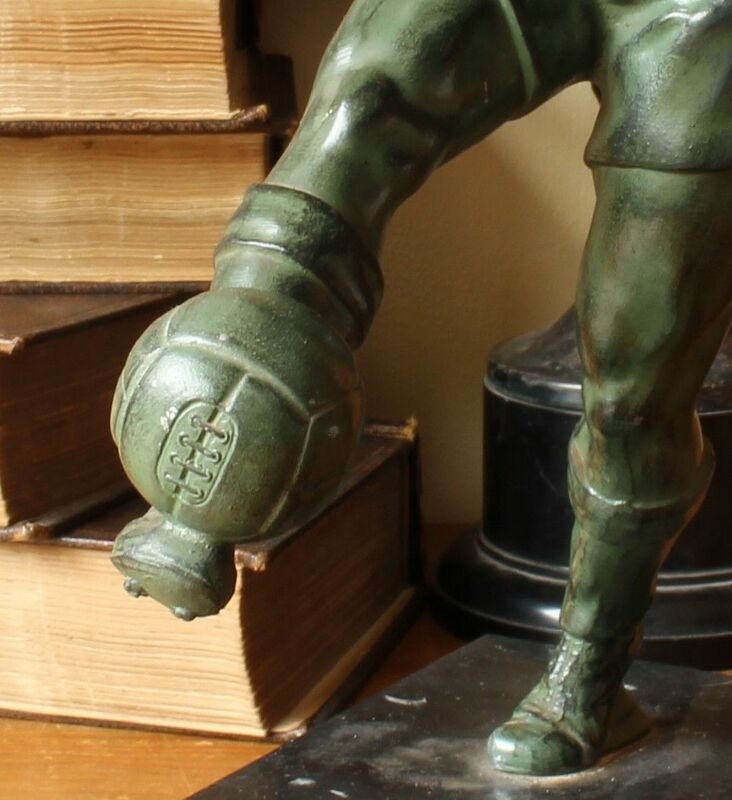 Figure is a little loose on base. Please see all pictures.